When someone asks for a social security background check, they are usually employers, who want to know more about their potential employee, or they are landlords trying to screen a new tenant. Banks routinely check your social security number when you open up a bank account, or when they want to run a credit check on you. Although social security background checks are not criminal checks, they are extremely thorough, and list all of your credit history, previous employers, and where you've lived for at least the past seven years. They can also contain criminal information. For this reason, if you are in a position to request this information, it can be very helpful for you to make a decision on your applicant. Don't be confused from the types of searches that are available for free online, and searches that really provide real background checks. These are the two types of searches that are usually found for free, and occasionally falsely advertised as a "social security background check". Social Security Death Index (SSDI) - The Social Security Death Index is a database that contains close to 90 million records. 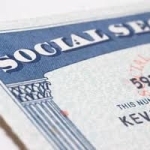 It's updated regularly, and contains the information that was given to the Social Security Administration when a person died. This is usually done when requested by family members, or other people who are asking for benefits. It contains the personal information of the deceased, and shows any lump sum payments. Social Security Verification or Verifier - This is an online tool that you can find on various sites. What it does is checks the first three numbers, and determines which state the number was issued in. It can also detect the approximate year it was issued, and cross checks it with the Social Security Death Index. However, it doesn't tell you if the number is real, or not, if someone includes the correct first three digits. It also does not connect any name with the number given. Normally, there is no free site online that gives you someone's social security information, and their name and other financial information. This can only be found with premium services. You can get basic information if you have the complete name of the person, birth date, and the full social security number. However, financial information is usually only provided if you have written permission to receive the information. This is due to the recent surge in identity theft. 1. By using your social security number to get your own credit report, you can check and see what a financial institution will be looking at if you are applying for a loan. Occasionally, there will be outdated or erroneous information that is reported to credit bureaus. If this is the case, you can locate it, and ask that it is removed, because it can damage your credit rating. 2. You can find out if anyone has been trying to use your name and number for identity theft. If you see any strange information on your credit report, you should contact the places where the charges were made, and you should have the credit bureaus freeze your account, so no one can access it. 3. Remember, many employers also check your credit history, especially if you are in a position where you will be handling a lot of money. If you're getting turned down for certain jobs that handle money, this might be a reason. These are all good reasons to run a social security background check on your own file. In conclusion, Social security background checks are good for many reasons. If you need to run one, make sure it is with a service you can trust.